Zwickau – October 2013. With an investment of more than €100 million, Johnson Controls has expanded its Zwickau plant to make it the world’s largest production site for AGM (Absorbent Glass Mat) batteries. The global market leader celebrated completion of the expansion work on 28 September and was joined by the workforce, political and commercial figures and the company’s senior management. By investing in the site, Johnson Controls is responding to growing demand for AGM batteries. 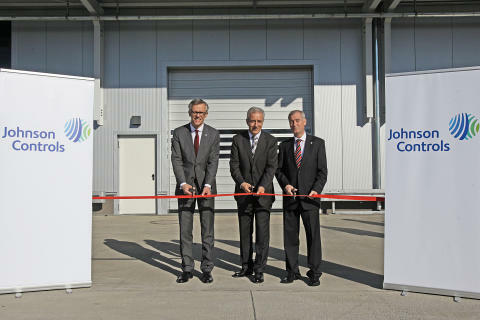 “The need for Start-Stop batteries will continue to rise significantly in the next few years,” explained Holger Jetses, European head of Johnson Controls Power Solutions, at the grand opening in Zwickau. By 2018, around 80% of all new vehicles manufactured in Europe will be fitted with Start-Stop technology. 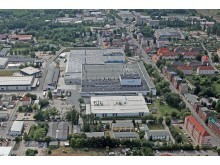 “AGM batteries made in Zwickau play a major role in original equipment manufacturing. With the expansion of our plant, we are ideally prepared for the challenges that lie ahead,” continued Jetses. Production capacity now stands at 6.6 million batteries. With the VARTA® brand and the VARTA® Start-Stop Plus battery, Johnson Controls also offers AGM technology in the form of replacement parts for vehicles with Start-Stop systems. The battery is the heart of the Start-Stop system, as it supplies all on-board electrical devices with power whenever the vehicle comes to a stop, and restarts the motor as soon as the clutch is depressed. As good as the original, the VARTA® Start-Stop Plus battery is equal to these exacting requirements. 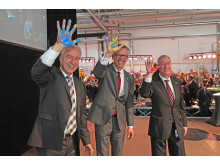 Amongst the guests at the grand opening was Saxony’s state premier Stanislaw Tillich. 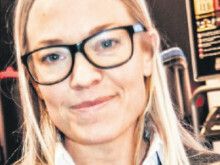 In the past three years, the Free State of Saxony and the Federal Government have supported the site with subsidies totalling €14.7 million. “All over the world, millions of motorists rely on high-performance batteries from Saxony every time they start their engine. This reliability is no coincidence; it’s down to the extensive experience and ongoing innovation that characterise both high-quality Johnson Controls batteries and Saxony as a place to do business,” explained Tillich. Batteries have been made in Zwickau for more than a century. 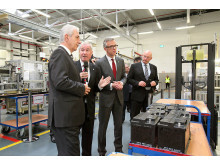 Since 2005, the plant has been the main production site for AGM batteries from Johnson Controls. With the largest expansion project to date, the company has gradually enlarged the site by more than 60% over the last few years. The new additions include a manufacturing hall, a logistics building and four state-of-the-art assembly lines. During the course of the expansion, the number of employees has more or less doubled, rising from roughly 200 to the current figure of 400. And the environment has benefited too: the site’s CO2 emissions will drop to around 500 tonnes a year. “The investment in the expansion programme demonstrates that the Zwickau site will continue to be of vital importance to the company,” said Works Manager Matthias Horn.